Video So Much I Want To Say (1983); Courtesy LIMA, Amsterdam. Mona Hatoum (born 1952 in Beirut, Lebanon) is a Palestinian artist based in London. She spans an artistic practice that combines sculpture, performance and video, dealing with issues of place and displacement, taboo, the abject body, as well as dangers and confines of the domestic world. The physical body is shown to address the vulnerability of the individual in relation to the violence inherent in institutional and social power structures, eliciting a highly visceral response. 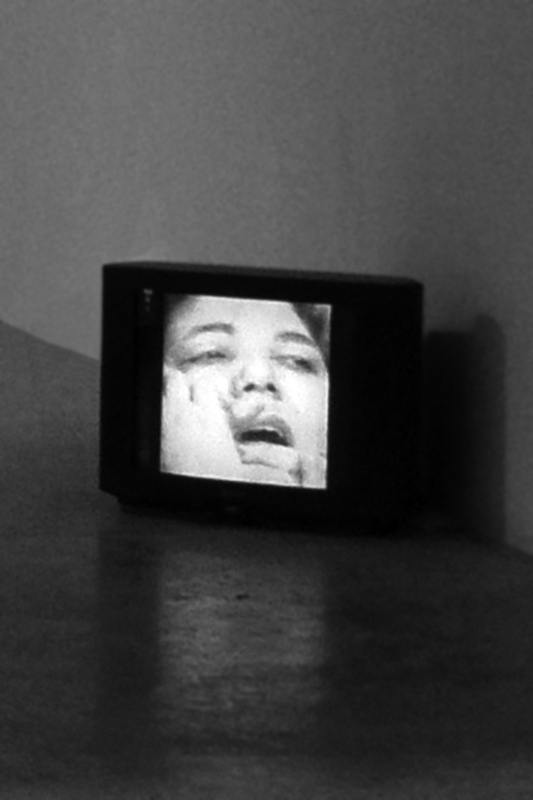 In her works Mona Hatoum unveils the contradictions and complexities of our world often making the familiar uncanny. Her vision of the reality is challenging, given through the juxtaposition of opposites such as beauty and horror, engaging the viewer in conflicting emotions of desire and revulsion, fear and fascination. The VENICE INTERNATIONAL PERFORMANCE ART WEEK 2016 shows the video documentation of So Much I Want To Say (1983), performed live for the Wiencouver IV event in Vancouver. A series of still images unfold, revealing the face of a woman in close-up. Two male hands repeatedly gag the woman and obscure parts of her face. On the soundtrack repeated over and over again are the words "so much I want to say".